조선 세종 28년(1446) 소헌왕후 심씨가 죽자 세종은 그의 명복을 빌기 위해 아들인 수양대군(후의 세조)에게 명하여 불교서적을 참고하여 한글로 번역하여 편찬한 것이 곧『석보상절』이다. 세종 29년(1447) 세종은『석보상절』을 읽고 각각 2구절에 따라 찬가를 지었는데 이것이 곧『월인천강지곡』이다. 월인천강지곡 권상(月印千江之曲 卷上) 체재의 특색을 항목별로 살펴보면, 첫째, 한글은 큰 활자를 쓰고 이에 해당되는 한자는 작은 활자를 썼다. 둘째, 한글의 자체는『용비어천가』와 같으나 원점을 쓰지 않았다. 셋째,『훈민언해』등에서 많이 볼 수 있는 받침 없는 한자음에 ‘ㅇ’의 종성을 붙이지 않았다. 최초의 한글활자본이라는 점에서 가치가 높은 유물로, 조선 전기의 언어와 어법을 연구하는데 많은 도움을 주는 책이다. 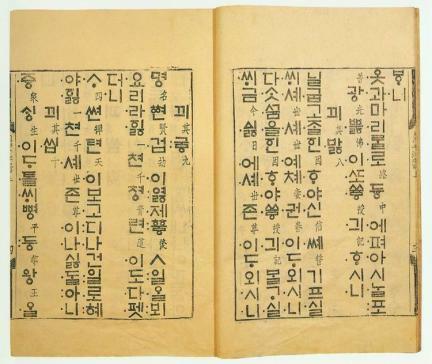 King Sejong of the Joseon Dynasty (1392-1910) ordered Prince Suyang to publish Seokbosangjeol, a biography of Buddha translated in Hangeul (Korean alphabet) in order to pray for the bliss of his late queen Soheon. He later added a song of praise for each item of Seokbosangjeol in Hangeul and named it Worin Cheongangjigok (Songs of the Moon's Reflection on a Thousand Rivers). There are many noteworthy things about it. First, Korean letters appear in large printing type while the corresponding Chinese characters are in smaller type. 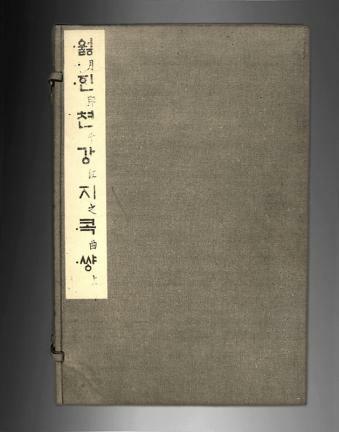 Second, the style of Korean in this book is similar to that used in Yongbieocheonga (Song of Dragons Flying in Heaven), but the dot, which was the old letter representing /a/, is not used here. Third, the additional letter 'ㅇ' as the final consonant for the pronunciation of Chinese characters which lack a final consonant, is not used here. 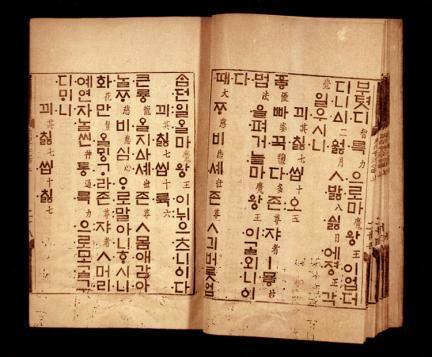 Moreover, it is the first Korean type-printed book, and it is valuable to the study of the Korean language of the early Joseon Dynasty.